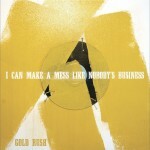 I Can Make a Mess Like Nobody's Business is the side project of Arthur "Ace" Enders, lead singer and guitarist of The Early November. Though the self-titled album was originally the only planned official release under the name I Can Make a Mess Like Nobody's Business, time would prove otherwise. The project spawned from Enders' desire to make music different from The Early November. Background noises, such as a television playing, are heard throughout the album until the eleventh track, "End of Background Noise" to symbolize the background noises in one's daily life. The main image in the album artwork is a yard rake, which symbolically counters the maple leaf that is associated with The Early November. The last track, "Salvy", is named after Enders' grandfather. The song "The Best Happiness Money Can Buy" appeared in a movie trailer for Must Love Dogs. Enders is still signed to Drive-Thru Records, and is now working on a solo project known as Ace Enders and A Million Different People. 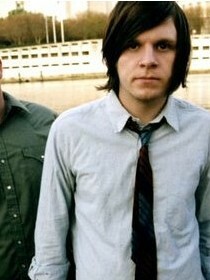 Enders released his second album under the I Can Make a Mess Like Nobody's Business name on March 23, 2010, entitled The World We Know.